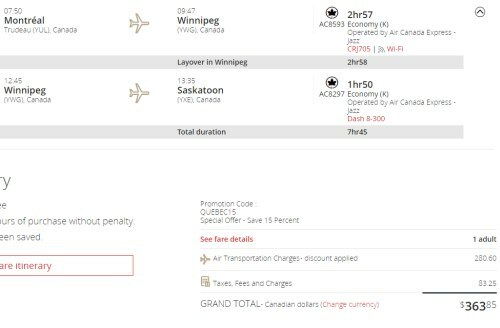 Air Canada has dropped the price of their flights from Saskatoon to Montreal down to $363 CAD roundtrip including taxes for July and August travel. Look for the dates that are $408 CAD roundtrip. The promotion code is valid for today only (Wed, June 14th) and expires at midnight. 3. 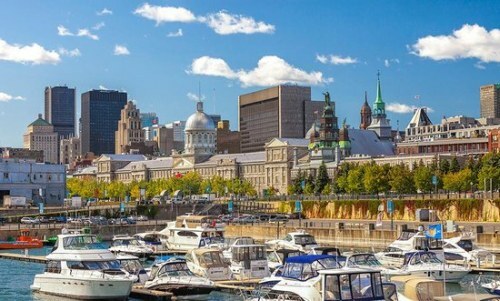 Search for a flight from Saskatoon to Montreal (YUL). Look for the dates that are $361 CAD roundtrip. 2. Click through to the Air Canada website or WestJet website. saskatoon, yxe, flight deals, westjet, air canada, canada, north america, montreal, quebec and yul.